Hey, Beijing, sorry to leave you hanging with these weekly-ish updates. Haven’t gone out since that Chen Tianzhuo thing, and even then I could only get through two thirds of it. Too slow and loud. Otherwise it’s been damp and tepid around the music scene lately, but this weekend will pick up with a little steam from some familiar and unfamiliar places. Oh, happy belated summer solstice! The days only get darker from here… a lot of things are better at night anyway though. For example: Shanghai label SVBKVLT continues its rampage through 2016 on Friday at Dada. Think they’ve put out about one release per month this year, and while other DIY labels might match them for quantity, SVBKVLT’s backed up such an ambitious release schedule with solid quality control, which is the hard part. A long interview I did with label boss Gaz Williams will come out via Electronic Beats soon, keep an eye out for that if you’re into subterranean Shanghai vibes. 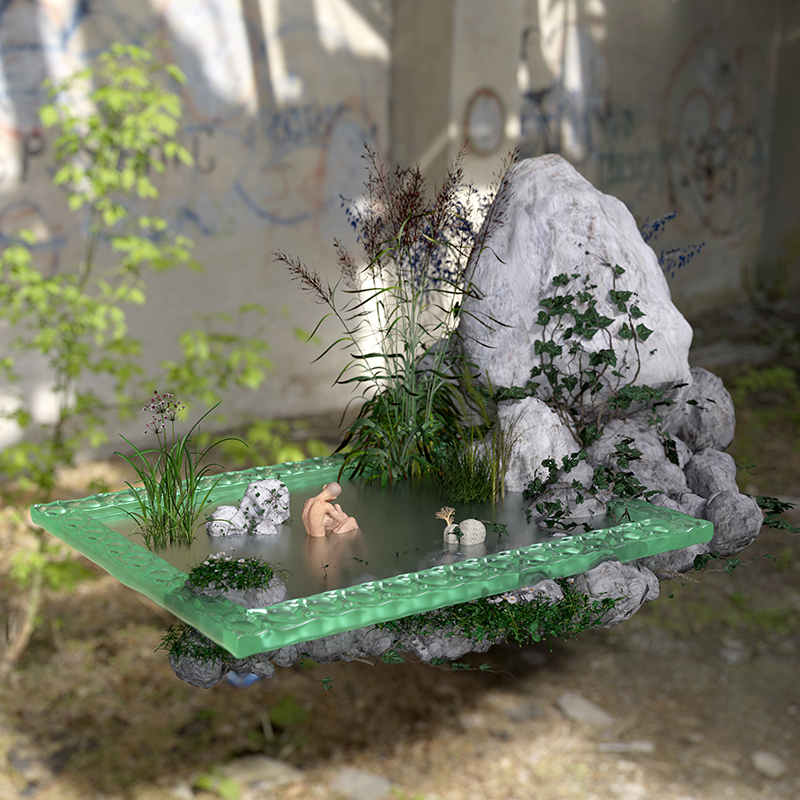 Perfectly fits SVBKVLT’s aesthetic of glossy polymer-based bass music, don’t think that makes any sense but that’s what came to my mind listening to this EP. The press release says “mind warping club trax and a sprinkling of J-Pop cuteness”, which sounds cool too. Apparently grime is mutating over in Tokyo; more on JP Grime here. Prettybwoy plays his first ever show outside Japan on Friday, June 24 at Dada, with a bonus opening set from Malaysian producer Shelhiel. Sweet. Moving on to Saturday: this Summer Art Night looks like a winner, coordinated by M WOODS, a privately owned museum in 798. M WOODS just did some renovations on their facade and built a little outdoor area, which on Saturday will function as the center of a multi-venue music and art thing. The music part is supplied by Fruityspace, who’ll abscond from their Meishuguan basement to provide some outdoor tunes as Jing A empties free kegs for the first lucky few to show up. 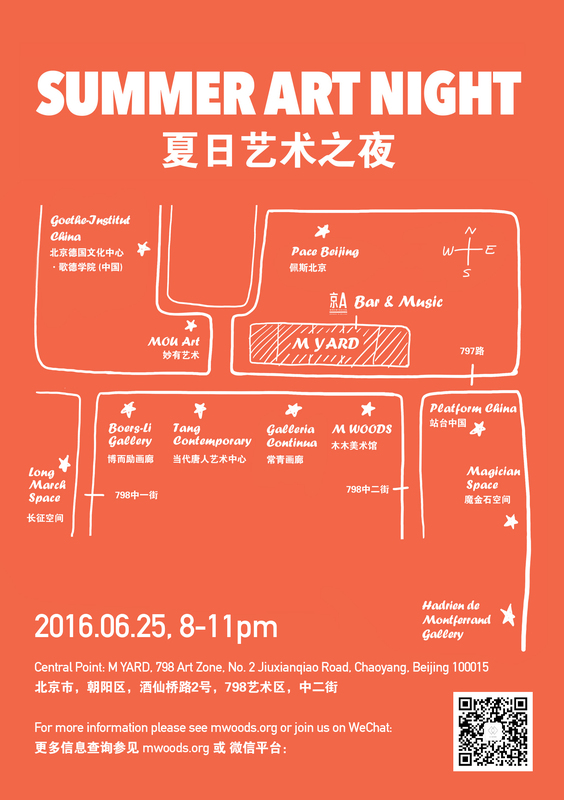 A bunch of galleries in the area will also be hosting one-off performances, food stalls, etc etc, so this may be the time to spin around 798 if you otherwise avoid it. Incidentally, the show up at M WOODS now is worth a look. It’s assembled mostly from the personal collection of its founders — post-80s PR mogul Lin Han and curator/social media celebrity Wanwan — an interesting mix of objects that reflects a different perspective from any State-backed museum or larger private institutions like UCCA. I wrote a profile of the couple and their museum here if you have some time to kill. Hong Qile will release his latest opus, an AV album called Pixel³, in July. It’s incredible, especially the visual side. Look for a recent interview I did with him to show up in Time Out Beijing around the beginning of next month. 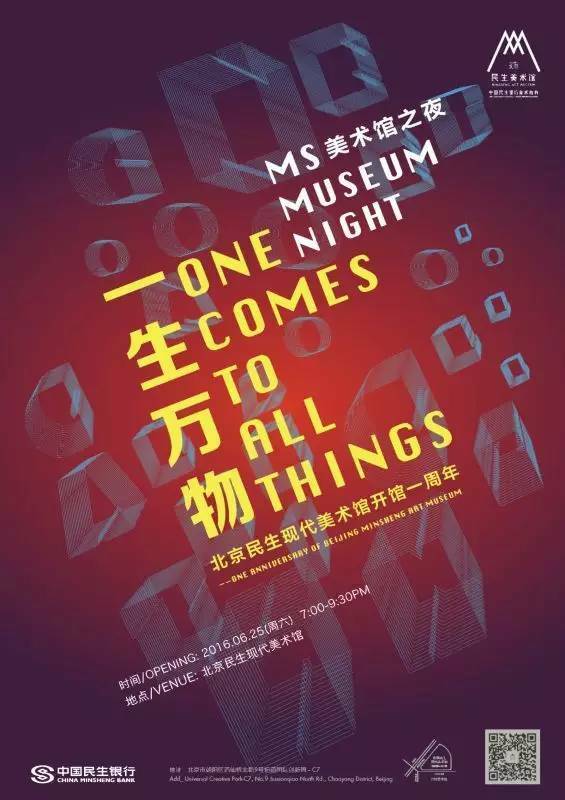 In the mean time, catch him at this Minsheng thing, which looks quite cool. Starts at 6:30pm, free with RSVP. Full info here. This wouldn’t be a pangbianr gig roundup in 2016 without a Fruityspace listing, and here it is: the debut of TOW on Sunday June 26. TOW is a new duo featuring Liu Ge of The Molds and Yang Fan of Ourself Beside Me/this incredible solo album from last year. The combined CV of these two is enough to sell me on the gig immediately. 8:30pm, free. More info (but not much more) here. 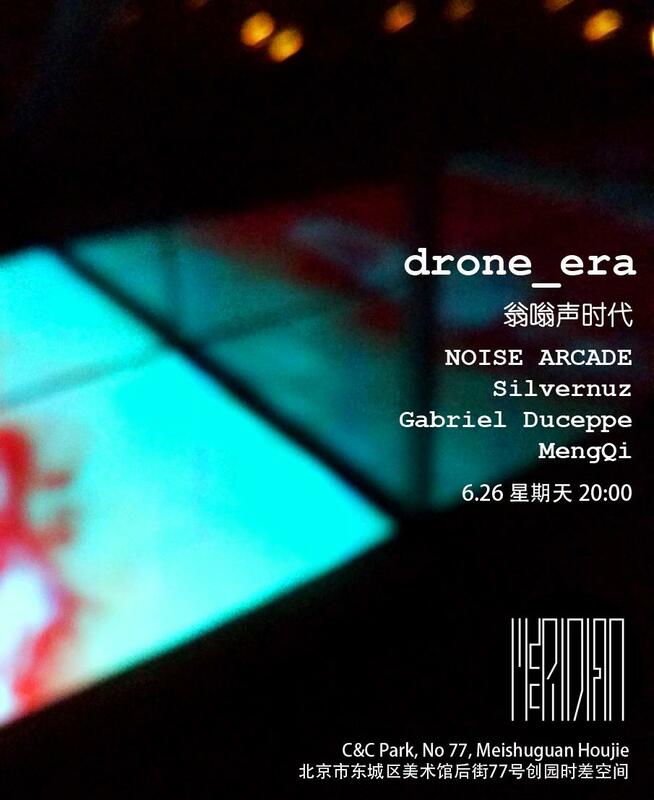 Also on Sunday, just up the road, Meridian Space hosts an event called drone_era. Expect an insanely disproportionate amount-of-gear-to-timbre ratio, via sets from top-notch local knob twiddlers Noise Arcade, Meng Qi, Gabriel Duceppe, and Silvernuz. Pro tip: go by bike and oscillate between this one & Fruityspace. 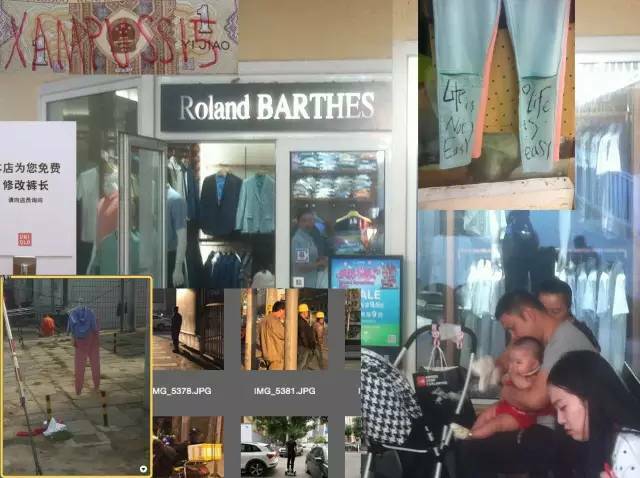 He will show clothes he created together with photos and also a video he did. The clothes will become the subtext of a video he is working on right now. The video he will show on Monday, which will be a music video with Higher Brothers from Chengdu and a reportage-style video. His idea to have Kenny G as a soundtrack for the latter and he would love to have someone play it live. One of the gallery owners asked me about sax players in Beijing, I said I know a few but can’t vouch for any of them being able/willing to play Kenny G… good luck! The photo part of the exhibit also features some work by old pangbianr mate Jeff Yiu, recommended. 6pm, free. Finally, just giving you advance notice on this one: pangbianr will host Alpine Decline for one stop on their exhaustive, nationwide Life’s a Gasp release tour. We’re locking them in Fruityspace on Sunday, July 3, from 8pm until they can figure out how to transmute base metals into gold using only their synthesizers. They’re assisted by PK14’s Yang Haisong on a master tape delay and Alpine Decline tour sound tech Xiao Bao playing the mixing board, Kingston-style. 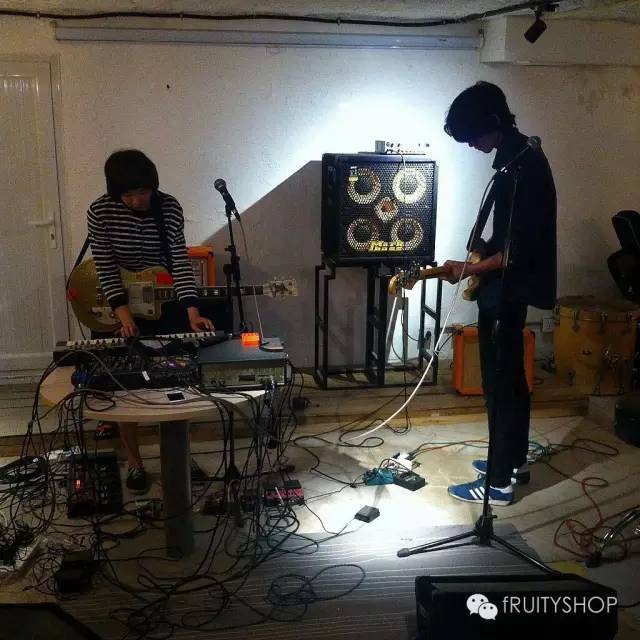 Also joining the chain gang on that fine evening will be my favorite current Beijing band, Lonely Leary. I made them promise to do a “实验” set, so we’ll see what they do with that.